Discover new songs and albums in a completely new way. 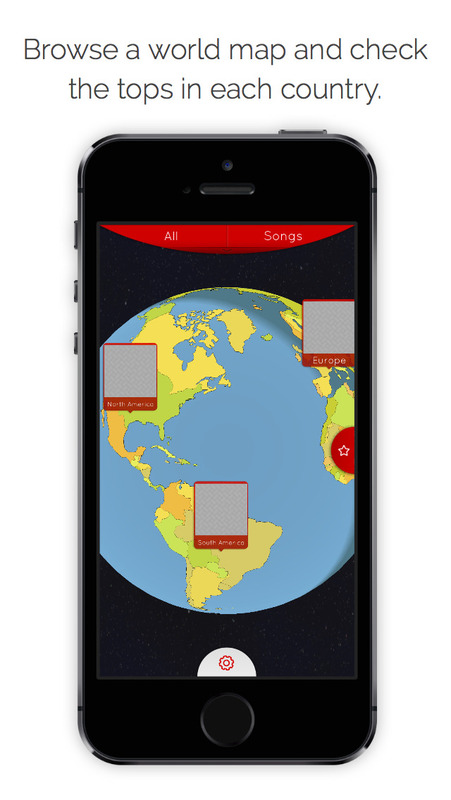 Browse a world map and check what songs are on top on the charts in each country. "Top New Songs by myTuner" gives you access to thousands of songs from the tops on worldwide scale in a very innovative way. You can stream the video clip of the song on YouTube (if available), as well as get more details on the artist/album or be redirected to the store to buy the songs you enjoyed the most. 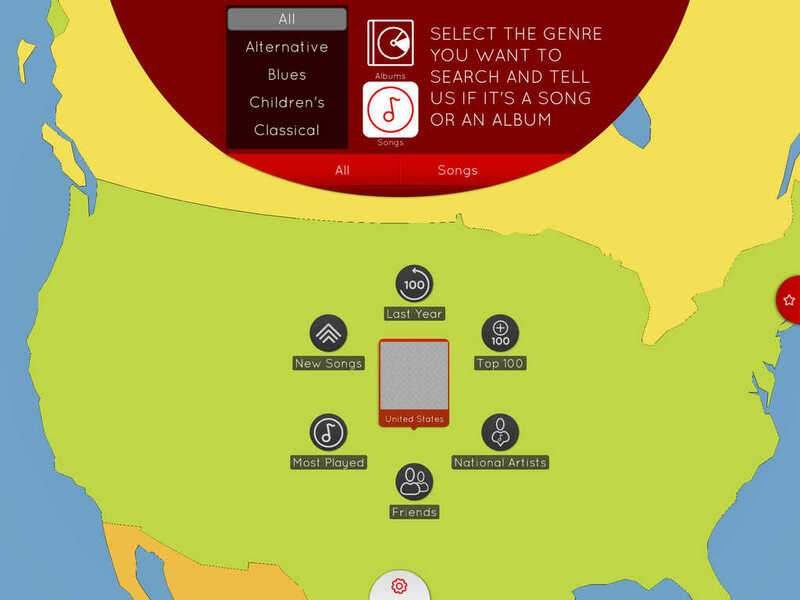 You can also filter by type of music (Alternative, Blues, Children's Music, Classical, Country, Dance, Electronic, Fitness, Hip-Hop, Jazz, Pop, R&B, Reggae, Rock and Soundtrack) and focus on songs or albums.